If you're looking for billiard table lighting, look no further than these spectacular pool table lights for sale. Our billiard table lights range from 48" to 68" and feature acrylic or metal shades and brass poles. In addition, we carry a huge selection of beautiful stained glass and Tiffany style billiard table lights. With dozens to choose from, we've got the table light for just about any game room. 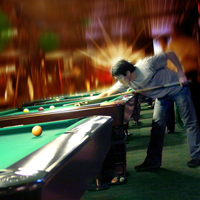 No matter what billiards game you are playing, the pool table is your arena. Be it in your own home game room or a pool hall, and just like at your favorite sports stadium, proper lighting is important for players and spectators alike. Fortunately, here at PoolDawg we have some bright solutions with pool table light fixtures that can accent your room beautifully, while also supplying the perfect amount of light to the playing area so you can clearly see and line up your shots. You can select from decorative metal lights, beautiful stained glass and Tiffany-style billiard lights, or the customizable 3-shade lights featuring metal shades in multiple colors as well as brass, chrome or black matte bar options. These pool table lights range in size from 48 to 68 inches and there are dozens to choose from. There won’t be any unsightly cords dangling over your table, because all of the light bars we sell must be hard-wired, so make sure you have an electricity source above where you want to hang your light. Any of our table lights will work over any sized table but you might want to choose one of the longer ones if your table is over 9 foot. Some wisdom about billiard table lighting that might strike a chord: The electrical cord runs up one of the hanging chains and through the decorative ceiling mount so it is virtually unnoticeable. The World Pool-Billiard Association says a light fixture should be a minimum of 40 inches above the bed of the table, but anywhere between 36 and 42 inches is acceptable. The general consensus is that fluorescent or compact fluorescent bulbs are optimal. Color and style choices abound among the billiard lights you can browse here. Stained glass lights feature trim in multiple colors, and three-shade lights come in multiple styles and colors, including several choices that feature a set of miniature decorative billiard balls. Most of the more expensive orders will be drop shipped, although the Economy 3-Shade Pool Table Lights can be shipped immediately from our warehouse. We also offer free shipping for all table light orders in the US. 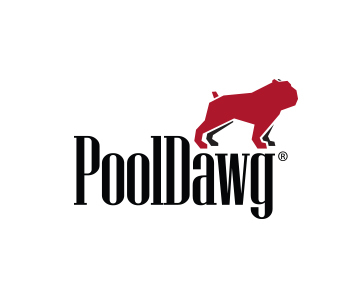 At PoolDawg, we consider billiard players an enlightened bunch, and so we offer only quality pool table lights and outstanding customer service. Don’t hesitate to contact us today with any questions you have before placing an order.